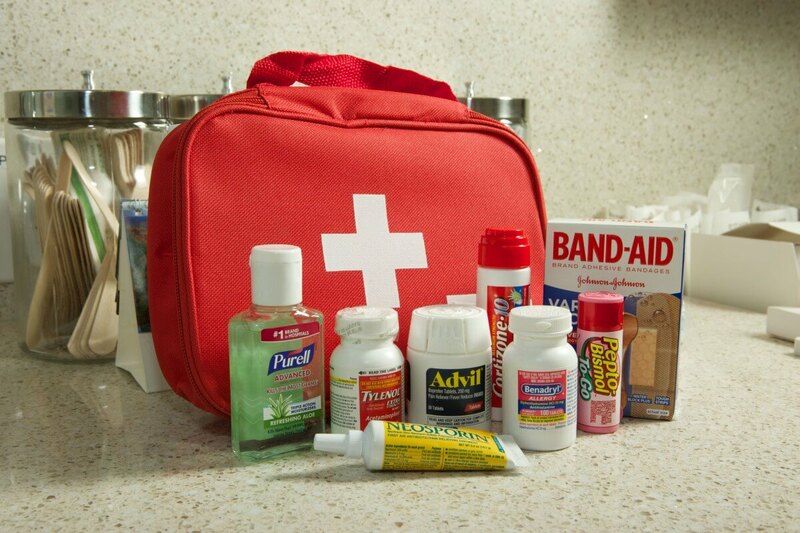 Make a little room in your luggage for a travel first aid kit. It won’t cost much, and it won’t take up much space. Once you reach your destination, you won’t need to reach any further than your suitcase to relieve those minor aches and pains that can put a major damper on your plans. A basic travel first aid kit should include prescription medicines in the original bottles, as well as a handful of over-the-counter remedies you can buy just about anywhere, says Caroline Sullivan, DNP, assistant professor at Columbia University School of Nursing. Generics can work just as well as brand-name products, and may also save you some money. “A good first aid kit should help you cope with many of the situations that can make your vacation less than perfect – like a headache or a stomach ache,” says Sullivan, also an adult nurse practitioner at the Primary and Immediate Care practice at Columbia Doctors. Antibiotic ointment like Neosporin or Bacitracin to prevent infection from minor cuts, scrapes, and burns. Make sure to contact us to ensure absolute care as we specialize in Travel Health.